What are patents? Why have they become politically contentious and a major source of friction between rich nations and the developing world? If tariffs were the big-ticket issue of trade disputes in an earlier decade, intellectual property rights (IPRs) are making for all the drama, standoffs and skulduggery in international negotiations today. Why are IPRs so crucial to the new economic order? To understand this one needs to come to terms with the idea of knowledge as property—a western concept of individual entitlements that was given a systematic framework of legal protection as IPRs in the 19th century. The globalisation of IPRs was achieved through the incorporation of TRIPS (trade-related aspects of intellectual property rights) as one of the core agreements of the World Trade Organization (WTO) in January 1995. It tilted the scales even more in favour of developed countries by burdening poor nations with additional costs. IPRs are legal entitlements that allow its holders to exercise exclusive rights in varying degrees and periods. Patents, copyrights, trademarks and trade secrets are common forms of IPR. Patent rights are granted nationally for inventions that are novel and useful. These can be devices, substances, methods or processes. Anything that relies on natural phenomena, abstract ideas or the laws of nature does not qualify. Patents are usually granted for 20 years from the date of application and are effective only in the country in which the application is filed. The EU, though, recently initiated moves for a unified patent across the 27-nation trade bloc. Copyright is legal protection for original creative work in the literary field, performing arts, broadcast, multimedia and software. 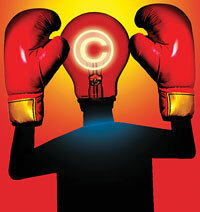 Copyright is valid for the lifetime of the author plus 60 to 70 years as the case may be in different countries. WHY ARE PATENTS AN EMOTIVE AND POLITICALLY DIVISIVE ISSUE? Those who champion IPRs, mainly the rich nations, say they are an incentive for innovation and offer a means to finance research and development. Activists and governments in developing world say it is unfair because they cannot compete at the same level. To protect their interests, industrialised nations are blocking access to knowledge and resources that are vital to helping the poor nations develop. HOW DO IPRs IMPACT THE POOR? Patents affect access to essential medicines by facilitating the high cost of branded drugs and blocking the entry of low-cost generic equivalents. It also has consequences for a country’s food security. For example, the hold of a few multinationals on seed patents increases the costs of agricultural produce. Efforts are under way by the Organisation for Economic Coopera - tion and Development (OECD) countries, the grouping of the rich, to stop farmers across the world from their centuries-old traditions of brown-bagging, exchanging or selling their seeds to one another. One of the instruments being employed for this purpose is UPOV or the International Union for the Protection of New Varieties of Plants in Geneva. The objective of the convention is to promote IPRs on new plant varieties. India is under pressure to join UPOV because its sui generis system gives precedence to farmers’ rights over breeders’ rights. WHERE ARE IPR BATTLES FOUGHT? While initially the IPR arena was WTO, new battlefronts are opening up as OECD steps up its campaign for higher standards of IPR protection. One such attempt is being made at the World Intellectual Property Organization (WIPO), a UN body, where the US, the EU and Japan are seeking to harmonise national patent laws to achieve TRIPS plus standards. Free trade agreements between rich nations and developing countries are increasingly being used to push through TRIPS plus standards in a variety of ways that will affect public health policies of the developing countries. WHAT THREATS DOES INDIA FACE? India’s generic drugs have become a target of a nasty EU campaign under the guise of cracking down on counterfeits. EU customs, at the behest of pharma MNCs, are seizing consignments of Indian drugs exported to third world countries, although these are genuine medicines and the manufacturers have not broken patent rules. A complaint is pending in WTO. Of even more concern is a high-pressure campaign by drug MNCs to get India to revoke Section 3d of its patent law that excludes minor changes to a drug formulation from being patented afresh. Attempts by some rich nations to step up patent enforcement measures, such as the Anti-Counterfeiting Trade Agreement, which will force developing nations to change their laws to accord higher IP protection for a range of goods and services. India requires to be on high alert to ward of IPR threats that will impact development.